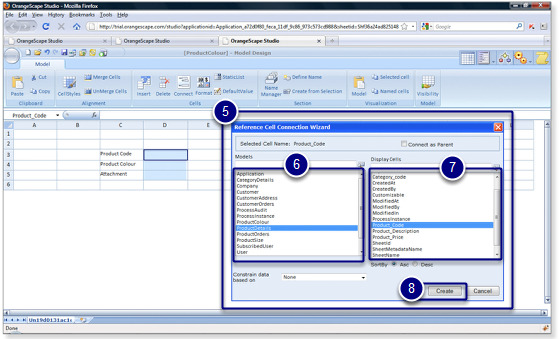 In this section, we will create the parent-child relationship between ProductDetails-ProductColour and ProductColour-ProductSize data models. Follow the directions given below to create a parent-child relationship. Open the "ProductColour" data model. 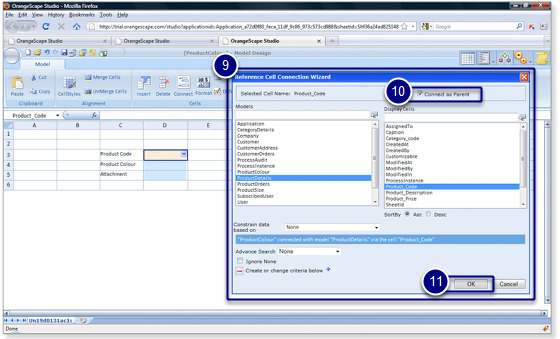 Select the "Product_Code" public cell. 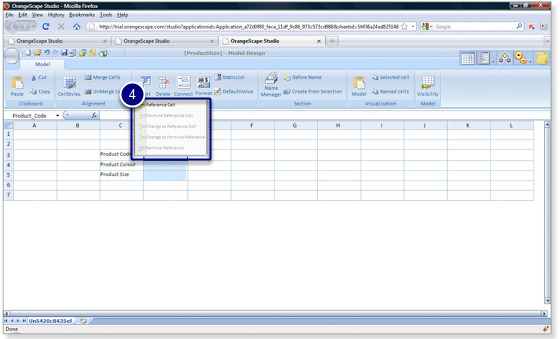 Select "ProductDetails" model from the list of data models. 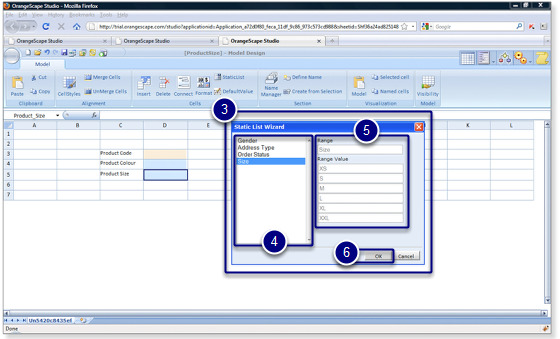 Select "Product Code" as the display cell. Clcik on the "Create" button. A connection is established between ProductDetails and ProductColour via public cell Product_Code. Select the "Connect as Parent" check box. 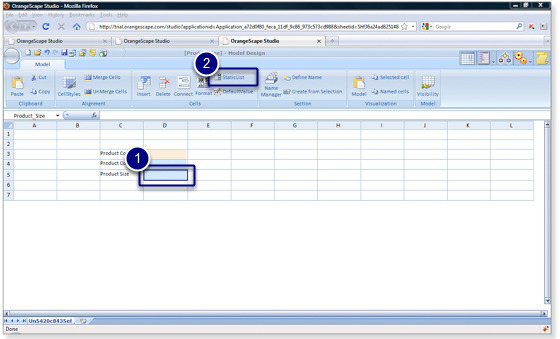 Click on the "OK" button to create the parent-child relationship. We have successfully implemented the parent-child relationship between ProductDetails and ProductColour. 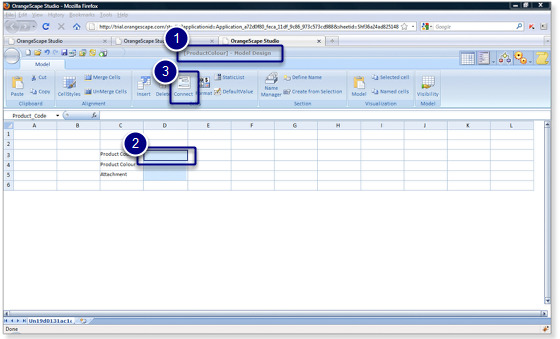 Open the "ProductSize" data model. 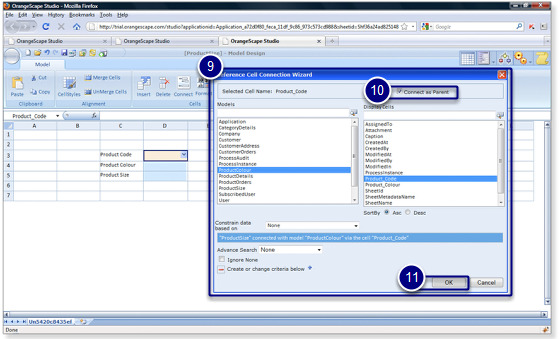 A connection is established between ProductColour and ProductSize via public cell Product_Code. We have already created a static list for size. 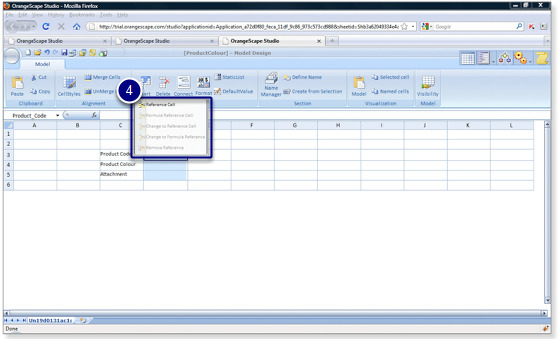 Now, we will implement the list box for Product_Size public cell in ProductSize data model. 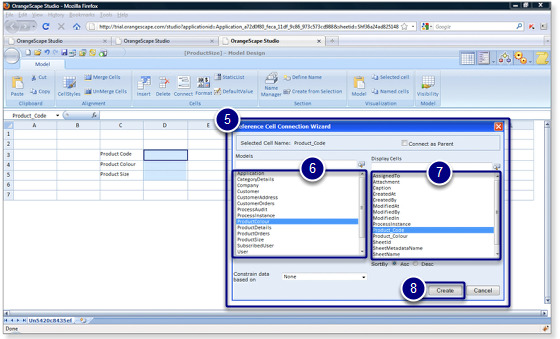 Select the "Product _Size" public cell. 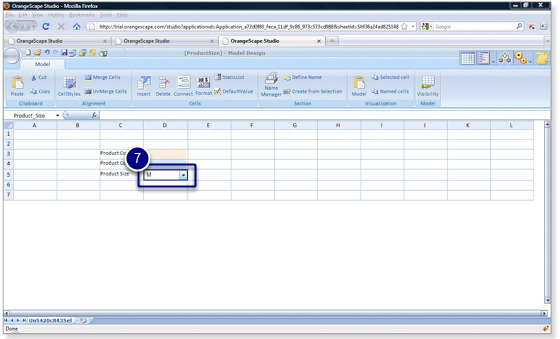 The list box is added to the Product_Size public cell.